7-Zip is an open source file archiver predominantly for the Microsoft Windows operating system. It operates either as a command line program or with a graphical user interface. It also features integration with the Windows shell environment. 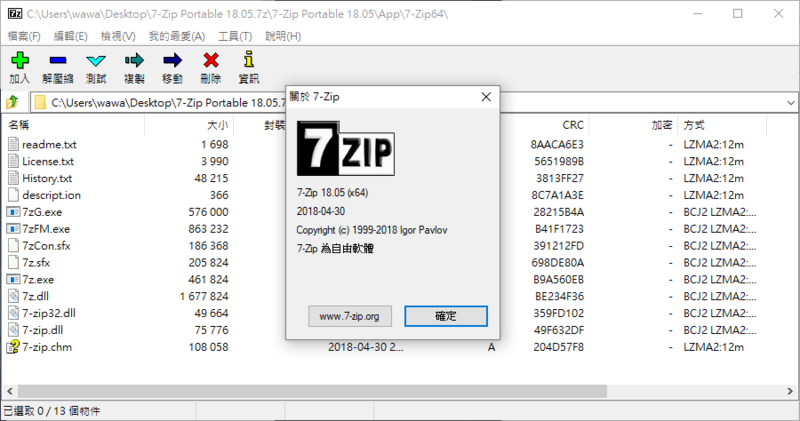 7-Zip is free software, distributed under the GNU LGPL license. 推薦; 免費、開放原始碼並擁有高壓縮率的解壓縮軟體。 ... 1.13 MB; 參考網站: Igor Pavlov; 點閱次數: 383,109下載次數: 187,351; 更新時間: 2018/5/8 上午04:03:27.